Competition in the hospitality industry can be fierce. 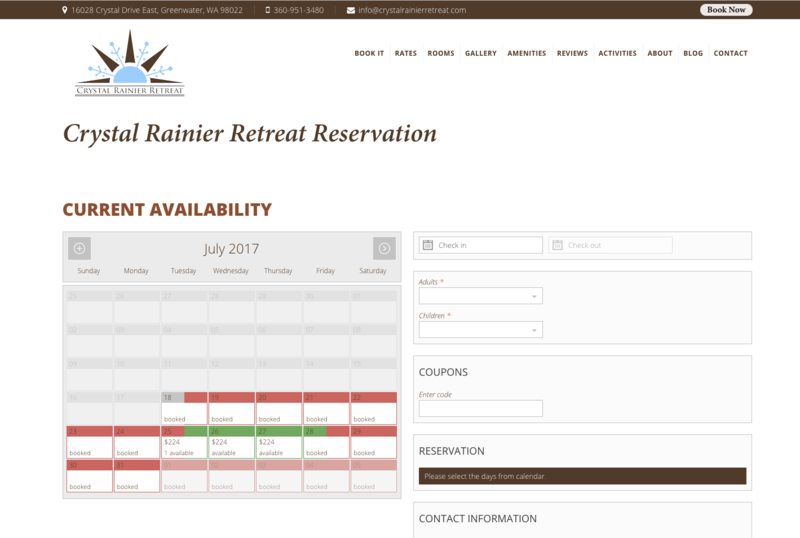 Crystal Rainier Retreat needed a web presence that showed off its gorgeous features and that would enable people to book reservations and pay for their rentals from their phones, tablets, and laptops. 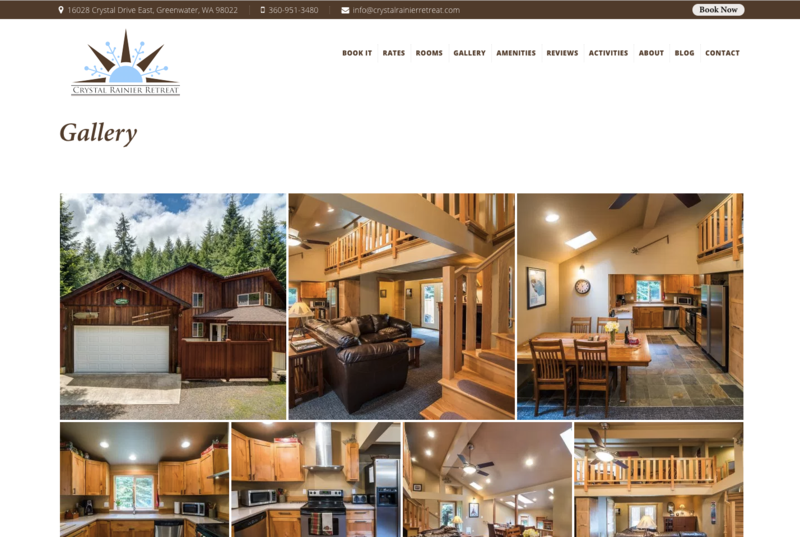 Owner Nate Badgely wanted to highlight the custom craftsmanship and stand out against the competition. 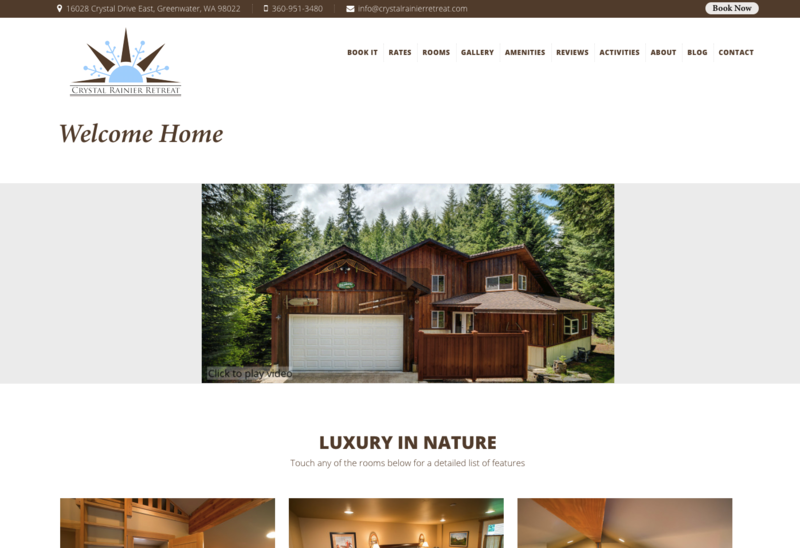 We created a specialized gallery optimized for search engines so that the retreat images would appear in search. 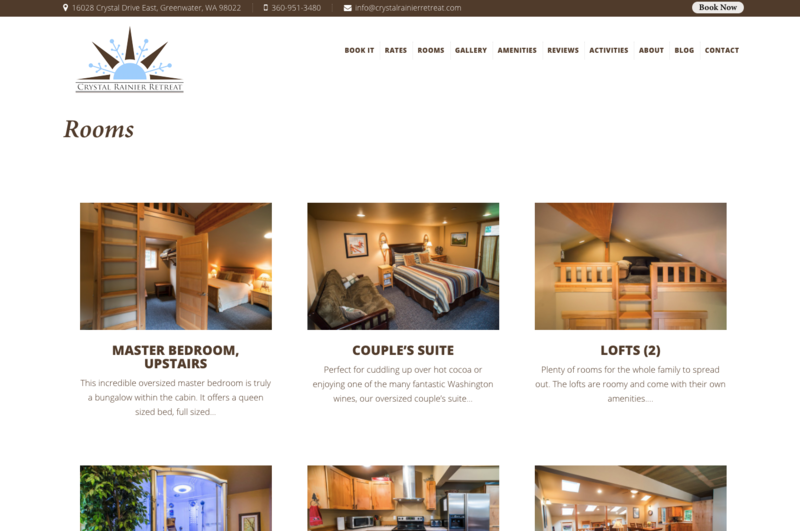 Rentals are seasonal, so the booking system needed to be flexible for the owners to easily adjust availability. This website is our bread and butter! It kept us from using third party booking and referral companies that demand 10% or more of our booking revenue. We made our money back in no time and the system is easy to use - for us and our guests. We get compliments on our site all the time. We highly recommend River Dog Digital.